I'm going to review the remaining 12 Montgomery books in sets of 3. These are all short story books and most were compiled in the late 1980s to mid 1990s. Many aspects of these stories show up in her full length books and she reusues many names. I rated all 3 of these books 5 stars. 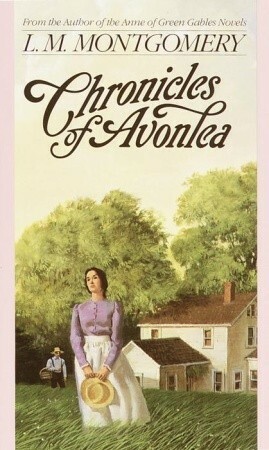 Chronicles of Avonlea and Further Chronicles of Avonlea are the 2 exceptions to that. 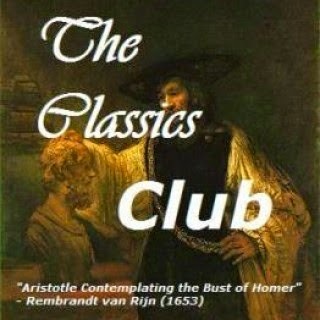 They were both compiled by Montgomery and published in the 20s and 30s. 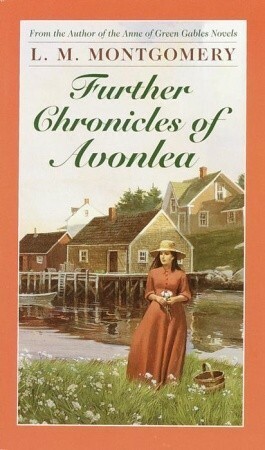 There really isn't a common theme to these two other than that all the stories take place in or around Avonlea. Anne makes small appearances in all of them. Sometimes she is just mentioned, other times she is an actual side character and in one she is the narrator. I enjoyed all the stories in Chronicles and most of the stories in Further Chronicles. They're nice little old fashioned stories. Feuds are had and made up, the good and honest are rewarded and the vain or unjust have their eyes opened. The only dark spot was in Further Chronicles the final story - Tannis of the Flats. The language and beliefs are so racist and dated it is hard to identify with. 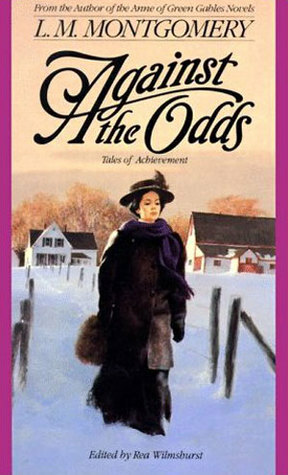 Against the Odds is one of the more recent additions to the Montgomery books. These stories were originally published separately in different magazines and Rea Wilmshurst compiled them. The stories in the book are about people overcoming odds either financial, family or environmental. This collection is probably one of my favorites. The stories are predictable - good get rewarded - but it's still enjoyable reading. So 6 Montgomery short story collections, a biography on Montgomery herself, a mediocre ghost mystery and the 4th in a contemporary romance series that I've really enjoyed. Then 6 more. If I want to hit both my total book # goal and my Montgomery goal for 2013 I need to stick to this list or December's going to be a very challenging month! 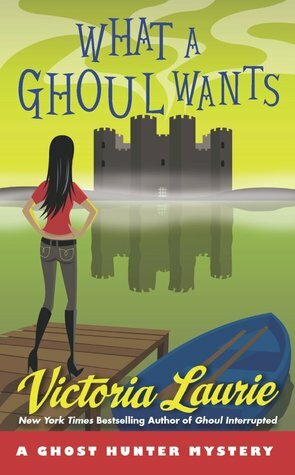 Description: Medium M.J. Holliday and the rest of the crew of the show Ghoul Getters find themselves at an extremely haunted castle in Wales. When M.J. and Heath have a near death experience at the hands of the castle's Grim Widow and other castle guest start showing up dead in the moat is it possible to get rid of the nasty spirit, get the footage they need to keep their show going, and leave the castle alive? My Impression: I've always found Laurie's books to be really fun though not necessarily the best written. However, in both of her series the slightly annoying side character has become a REALLY annoying side character. By about halfway through this one I absolutely could not understand why M.J. had not packed Gilley up and sent him back to the U.S. or given him to the widow. There was absolutely nothing redeemable about him whatsoever. Laurie also has a tendency to make her lead characters know everything about everything and it definitely got to be a little much in this book. Find a strange button on the ground? Don't worry M.J. is a button expert, need advice on running a castle turned hotel in Wales? Don't worry M.J. knows all about that. Need to solve a non-ghost related murder? M.J. once again to the rescue. It got a little old to say the least. The second half of the book improved a bit and even though the conclusion was a little hurried I thought it was an interesting way to explain everything both on a ghost and non-ghost level. Would I Read More of this Series/Author? : I probably shouldn't since the last few have annoyed me so much but I probably will end up at least trying them. Would I Recommend this Book? : No, not really unless you really LOVE hauntings. Description: Marigold Lesley is born shortly after her the death of her father and spends weeks unnamed as her mother is very ill. When Marigold falls ill the Lesley clan is in a panic lest the child die unnamed. They finally decide to name her after the doctor who saves her - a woman named Marigold. The rest of the book is about the adventures Marigold has throughout her childhood. My Impression: This was a sweet little stand alone but definitely not my favorite. Marigold is an usual Montgomery child because she is dearly loved and has a pretty charmed life. Marigold is an imaginative little girl who spends quite a bit of time with imaginary friends in imaginary lands. It's a fun sweet little book but not much of it really stuck with me. 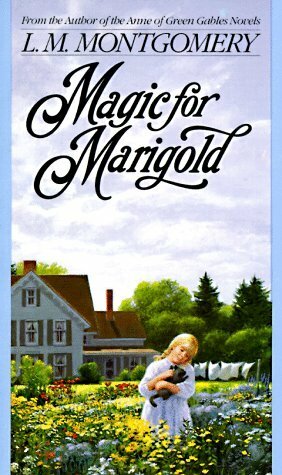 Marigold is the youngest character and by the end she's only about as old as Anne was at the start of Anne of Green Gables. This book I think is definitely geared more towards a younger reading audience. Would I Recommend this Book? : Probably not though it would be a good read aloud book for a little girl. Description: When her parents and the Earl of Clivesden plot to marry her off to said Earl Julia is lucky to have her childhood friend Benedict Revelstoke on her side. Not only is the Earl of Clivesden not someone Julia wants to marry he is also the very man her older sister Sophia has been in love with for the last 5 years. Then Sophia finds herself in a compromising situation with the Earl of Highgate and has to agree to his proposal. My Impression: This book wasn't quite what I expected. It was definitely more of an ensemble cast than a leading couple than any other romance I've read in the past. I spent quite awhile wanting to shake both of them. Benedict is obviously in love with Julia and even though people tell her that it doesn't really seem like it occurs to her to do anything about it until she gets really and truly backed into a corner. Highgate is obviously the perfect man for Sophia but she's so busy pining for Clivesden who not only has never really acknowledged her but also seems to be a truly awful person. Her love for Clivesden seemed very adolescent crush and got a bit tiresome. Would I Read More of this Series/Author? : Probably though the reviews and plot summary of the next one didn't really interest me. This month wasn't great but was at least better than last month. I got 12 books read. 2 of them were library books, 1 book read on the Kindle and all of the Montgomery stand alone books read. Favorite book of the month - Spit, Scary Ann and Sweat Bees by Kathryn Tucker Windham. This was a lovely little book with photos and stories about superstitions and childhood in a little Alabama town in the 20s and 30s. 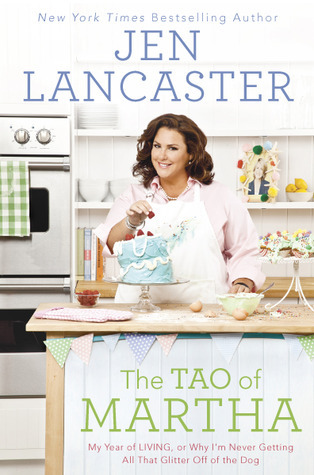 Most Disappointing Book: The Tao of Martha by Jen Lancaster - I was kind of expecting a mix of Julie and Julia and The Happiness Project and it just wasn't. It wasn't a bad book but it wasn't what I thought it was going to be. Description: While frantically looking for something in her home Jen Lancaster realized that her levels of clutter and chaos were detracting from her life. After talking about resolutions for the new year she decided to spend the year living like Martha. My Impression: I was so excited when I stumbled upon this book while browsing what my library had under the subject "Martha Stewart". I've been obsessed with Martha the last couple of weeks for reasons I can't quite figure out. The summary of this book read like the books The Happiness Project (which Lancaster actually references) and Julie and Julia had a baby with a sense of humor. I was somewhat disappointed with what I found. Unlike The Happiness Project there are no clear goals or set ideas Lancaster's working towards. She mentions living like Martha but there's not much explanation for how she does it. The vagueness of the whole thing kind of bugged me. Also, there's a lot about her dog. For most of the book I was wondering why she dragged Martha into the book at all because the book seemed to be mostly about her beloved dog Maisy being in the last stages of life. While those parts were sweetly done it wasn't what I wanted from this book. The parts where she does talk about copying Martha either for party planning or cooking I found very interesting but unfortunately these parts feel few and far between. This book wasn't bad and if I had read any of Jen Lancaster's other books and really loved her I probably would've gotten more out of it. However, I was looking for a book about a normal person trying Martha Stewart's methods and this just wasn't it. Would I Recommend this Book? : Only to someone who really loved Lancaster's previous books. I wouldn't say don't read it but it definitely isn't a "You have to go out and get this book right now!"